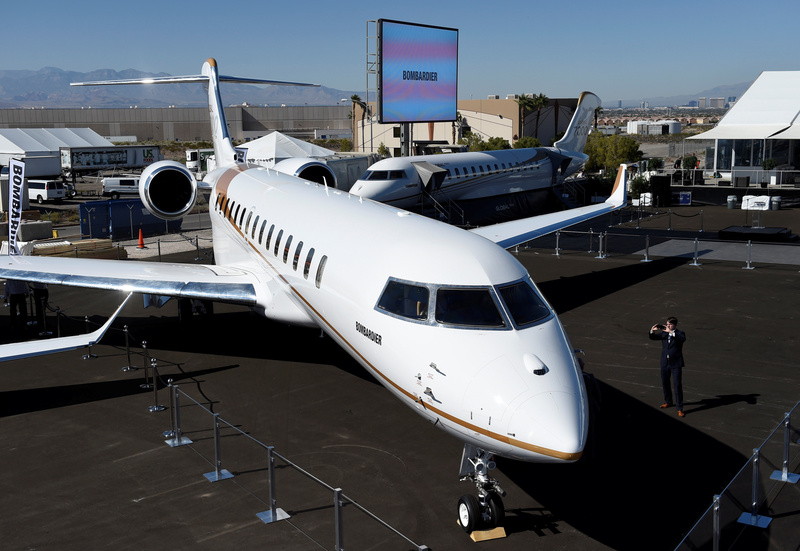 Bombardier's new Global 7000 business jet is seen during the National Business Aviation Association conference and expo at the Henderson Executive Airport in Henderson, Nevada, U.S., October 8, 2017. Of the biggest 100 U.S.-listed companies, 59 report letting executives use company-procured jets for personal travel without reimbursement, according to a Breakingviews analysis of financial filings. The filings covered the biggest companies by market capitalization as of April 9, according to Refinitiv data. The 2019 proxy statement was available for 64 companies, while the 2018 proxy was used for 33. A further three companies did not issue such filings. Facebook reported the highest cost of the group for the use of jets by its top brass. The social network booked a $1.5 million compensation expense in 2018 for personal travel by founder and boss Mark Zuckerberg. Several companies allow executives to use their aircraft, but are reimbursed for the incremental cost. Others, including Bristol-Myers Squibb, Schlumberger and Intuitive Surgical, say they avoid perks that are not available to all employees on similar terms.